WOW! What a beauty! 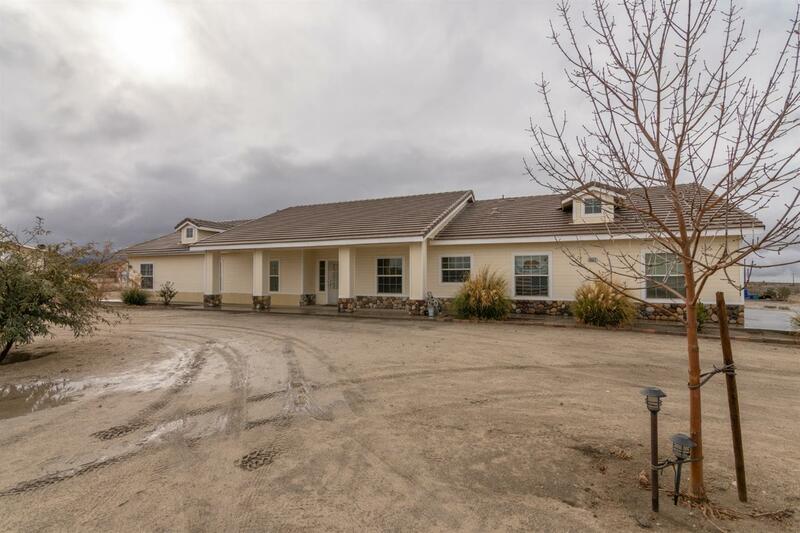 2.24 level Acres, totally fenced, Located just a block off paved Oasis Road. Huge Kitchen with granite counters, black appliances, pantry, sunny nook, built in desk area and tons of storage. Kitchen opens up into a delightful great room with corner fireplace. Master suite boasts corner jetted tub, separate shower and slider to covered patio. 2 secondary bedrooms and to bonus rooms that have been used as bedrooms but no closets! Gorgeous rear yard that has block wall for privacy, extended covered patio, extra concrete, fireplace and built-in BBQ. Beyond the wall there is plenty of room for all your toys or livestock! There is also an RV hook-up on South side of home. Oh did I mention the 3 car side entrance garage! This is a dream home for the buyer that wants plenty of wiggle room!